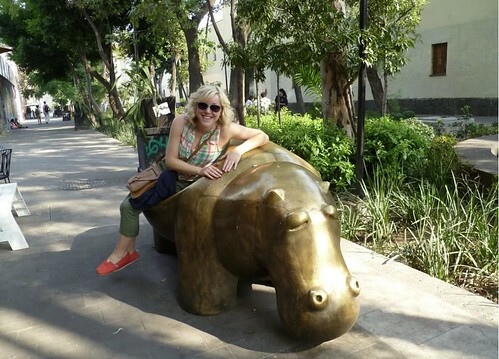 Julia is one of the first travel blogger I met when I was just starting this blog. I’ve been following her trips (Vietnam and Mexico in particular) and her stories as she prepare to travel the world soon. She sold her house in order to fund her upcoming round the world trip starting on February 2012. It’s a feat that best exemplify that enriching experiences trump the need for material possessions. I admire her for doing that and I’m very happy to have her in this interview. Here’s my small chat with Julia of Homeless and Confused. 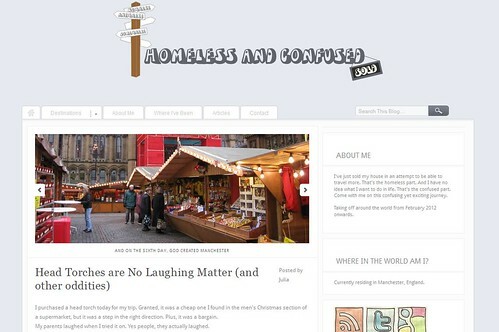 I’m a web designer currently living in my home city of Manchester but am planning to take off on a round the world trip beginning in February 2012. I have been documenting my previous travels over on my blog Homeless and Confused since January this year and I think it was partly this and reading other travel blogs that spurred me on to pursuing the dream of travelling long term for a while. I already work in the travel industry with my day job and used to update the company Twitter account on a daily basis. I had booked my first solo trip to Vietnam towards the end of last year and noticed a lot of great novice bloggers out there documenting their travels through their own blogs and I thought that maybe I could do that, too. Somehow I just knew that that trip would be the start of many more awesome travelling adventures. I think sometimes when you start getting a good number of readers there is pressure to put out posts regularly, even if you have no inspiration to write from. I really try not to do this; if my heart isn’t in a topic then I simply don’t enjoy writing about it and know that my work won’t be my best. At times like this, I just don’t write anything at all. If I lose followers because of it, then so be it. At the end of the day, the blog is for me more than for anyone else, so if I’m not happy with it then what would be the point? When I was a child we used to holiday regularly on the coast of Wales during the summer and I have some great memories of hot weather, ice cream and arcade games during those years. But my first travel experience in a foreign place was to Prague (for a day trip) a couple of days after Christmas when I was around 9. It was my first time on a plane and I was so excited and nervous at the same time but I loved every minute of it. The weather in Prague was bitterly cold at that time of year and we spent the day mostly hopping from cafes to restaurants in attempts to keep warm, but I can still remember how exotic it seemed to be in a foreign country where they spoke a different language. I don’t think I’ve ever stopped loving foreign travel since that day. That’s really tough because I don’t necessarily have a favourite – I have fallen in love with lots of places I have visited, usually based on the great experiences I’ve had there. To be honest, the only place I have ever been and thought to myself “I could see myself living here” would have to be Mexico, but my favourite holiday destination is Las Vegas, without a doubt. Harry Potter would be a pretty cool travelling companion because he could magic you out of any tricky situations and I could borrow his invisibility cloak to gain entrance to anywhere in the world free of charge – every budget traveller’s dream! Only downside is he doesn’t really have a great sense of humour, what with being chased by evil spirits most of the time, so that would be a definite negative in my eyes. It would be a toss up between Hong Kong and New Zealand. Both very different, but alluring nonetheless. Always try and put your personality into your blog, no matter what you are writing about. There are so many generic travel blogs out there, but I love reading ones that really capture the essence of the writer and their outlook on life and hope that mine achieves this too. hey, it’s confused julia! i like the part about not giving in to the pressure of putting out content when you don’t feel like it. i often feel that pressure. most of the time, i give in. lol. but good on you, julia, for not! more power! Wow! That elephant ride is a little scary. Good luck on your travels, Julia! Love this interview – Julia’s one of my favourite Tweeps out there! Not sure about the choice of Harry Potter…I think I’d have to go with The Rock. 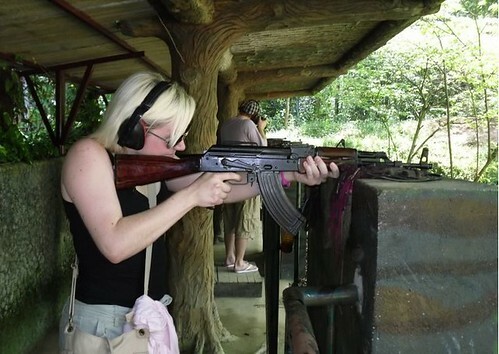 Nobody would mess with you for starters…and other reasons that I won’t go into here hahaha!